"There is no way of finding a single absolute truth"
An American student named Martin moves to the United Kingdoms to study at Oxford University, hoping he will be given the chance to work with Arthur Seldom, a mathematician he looks up to and idolizes. Martin goes so far as to rent a room in a house owned by an old friend of Seldom’s and attempts to impress Seldom by entering into a debate with him at one of the professor’s lectures. Seldom is unimpressed with Martin, embarrassing him in front of the class, and refuses to work with him. Things change, however, when Martin’s landlady is murdered and the two men join forces to catch the killer who sends Seldom notes that imply it will not be the only murder. The possible suspects include the landlady’s daughter, who was resentful about caring for her invalid mother, and another mathematician, angry at Seldom for refusing to teach him. 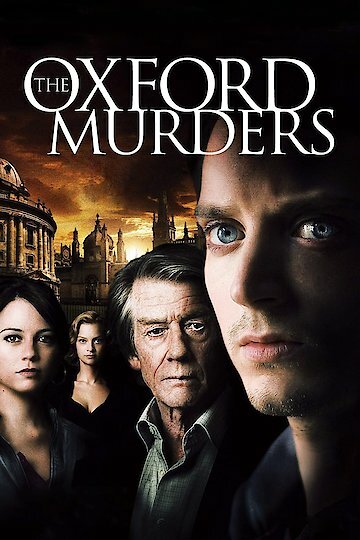 The Oxford Murders is currently available to watch free on Tubi TV and stream, download, buy on demand at Hulu, Amazon, FlixFling VOD, Vudu, Google Play, FandangoNow, iTunes, YouTube VOD online.